I’ve been coming to Metrix since its inception. I’ve known Matt, the owner, for a couple of years through my relationships with others in the maker community. Seeing Metrix from its incomplete state, through it’s opening, and now to its expansion has been great. The store’s atmosphere hasn’t changed much from how it was when it opened- it’s still open to the public, still a great place to come and feel inspired by creative energy, and of course a place to meet new like-minded friends. Since I’ve been coming here for over a year now, I’ve been able to make a lot of really neat things, and I’m excited to make more. 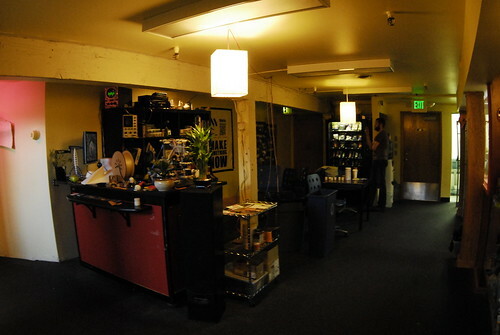 Before Metrix opened, there were some other maker spaces that I went to in Seattle. And while they were fun and had a lot of really interesting things happening in them, I never felt like I really belonged. There were certain kinds of projects that these spaces liked working on and they were never what I was interested in. There seemed to be a lot of clique-like mentalities to the people who hung out there too, which was off-putting. And then there was Metrix. I walked in and didn’t feel like I had anything to prove. I didn’t have to be working on certain kinds of projects to be considered cool. I didn’t even have to be working on a project! I could come in and just use their Wi-Fi if I wanted. What a completely refreshing change of atmosphere. That’s probably the thing I like best about this place. Anyone can come and work on whatever they want without being judged. There’s other things I like too, of course. The incredibly vast selection of tools and materials is impressive. 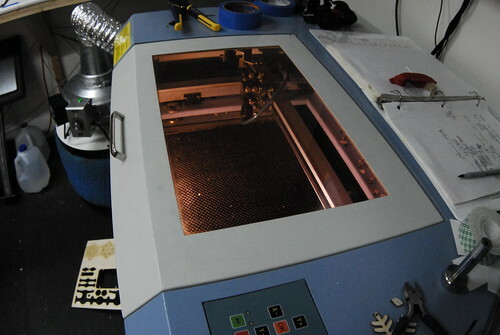 The one I like to use the most is the laser cutter. I make and sell jewelry that’s cut on it, and I really like being able to tell people that I watched as the magic happened. There are websites that you can send a design to and have them cut it out, and I think it really takes away from the hand-made feeling. So when people learn that there’s a laser cutter at a local business that I use, they can see that it’s not just about me making a profit- I’m also part of a community. I know I’m not the only one who feels part of it. Metrix is so inclusive of everyone who walks in its doors and has a project in mind. Another great thing are the workshops. I’ve taken the Intro to Electronics course and really learned a lot and enjoyed it. The time really flew by and wasn’t like a normal classroom experience at all. Personal attention to my learning really helped me. And after my workshops, people always tell me that they learned so much more in two hours than they could have figured out on their own. I’d like to think they aren’t just flattering me. I love teaching my workshop on Inkscape as it’s a program that I’ve loved using for many years. I’m glad I get the opportunity to share my knowledge and help other people in being creative. Creativity comes in many forms. Many people come in to work on writing code, and not on making physical projects. 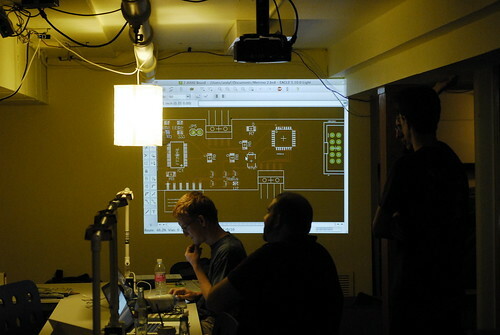 There’s a large meetup once a week where hacker friends get together, but it also happens on a smaller scale. I think it can be hard to write code from home. There are a lot of distractions, but people don’t generally want to be in the office, especially if they’re working on something personal. 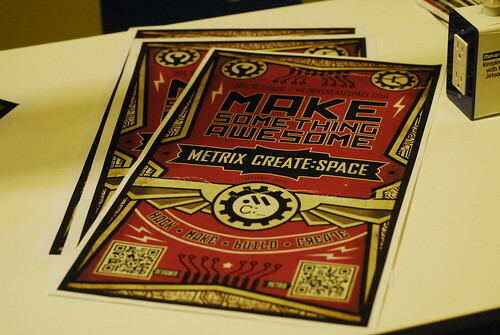 Metrix allows those people a space to relax and think. Those are just some of my thoughts on Metrix. I’m sure I’ll continue to enjoy coming here. I hope you do too.